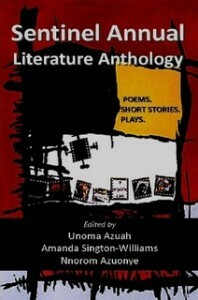 As always, this has been a hard task – very enjoyable but difficult to select from among so many outstanding poems. It was with reluctance that I had to limit my choices to twelve. Themes were plentiful and varied. Several poets, as the list of my winners will show, wrote about dementia and the care of the sick or elderly. There was rich array of poems about the seasons, weather, flora and fauna, eco concerns and climate change. Relationship poems were written with skill and there was an appreciable number of entries about art and artists, historical figures, books and the writing of poetry. I enjoyed reading a number of prose poems and I was especially pleased to see several original pieces that experimented with typography, lineation and white space. An extra pleasure came from finding poems based on sound patterning. Thank you to all entrants for letting me share your poems. It has been a moving experience. The theme of this outstanding poem, as the title suggests, is the sense of obligation underpinning the care needed for a partner suffering from advanced dementia. This is a case of love not altering when it alteration finds. Needs and duties become reciprocal. ‘I could get carers,’ says the husband, ‘but the woman cared for me.’ A sad, chilling line. The tone of writing is laconic, understated and casual, the theme seemingly straightforward narrative But this is a poem based on incongruence. Snatches of conversation, as two old friends share their mutual hobby of swapping cigarette cards, are juxtaposed with details that highlight the dilemma and heartache of on-going care. And yet these details are handled with a light touch. The ‘unresponsive’ and ‘expressionless’ wife has to stay in the car because ‘Incontinence pads,/ apparently, are not infallible. He smilingly declines to put/our three-piece suite at risks.’ It’s the use of that word ‘smilingly’ that is so poignant. The outward show, the facade that shows the cracks beneath. Fragments of phrases, incomplete thoughts. The ‘bafflement’ of it all. The tenderness under the pain. There is more to this winning poem, though, than a brilliantly handled narrative. Every word or phrase seems chosen for its nuances and undertones. The host’s wife is ‘dead-heading’ flowers, the cards are ‘weeded’, the wife is ‘unmoving’, the husband drives away with ‘the residue’ not only of left-over cards but, by implication, the scraps that remain of two lives. And then there is the gold. And the fire that the gold inspires in the couple whose relationship is secret, dangerous, burning. This poem is brilliant in the way it conveys a sense of place. I love the movement in it , the way it begins outside the gate, then the couple step inside stamping their boots, wander through ‘the silent frozen halls’. Next they move into the freezing gardens, see ‘fountains,/statues, paths and sculptured trees’ shining ‘in a white and lunar light’. Here, for a moment, though cold and short of money, they are like monarchs with ‘courtiers of ice’ being spied on ‘by squinting frost’. A stunning poem of place with a doomed relationship at the heart of it. This may be the sun-king’s palace but no sun reduces the ice while words that might mend are too frozen to melt. This is an enigmatic poem and it is the quality of strangeness that makes the writing special for me. That and the superb use of language. There is so much to admire in the poem – the effective use of anaphora, the three line stanza shape, the line endings, the simplicity and precision of language. If I had to choose just one thing I find memorable it would be the image of the dark hawk seen on a man’s wrist, outside the off-license ‘on a day of wet snow’. That image, the mood and feeling of something allegorical that it conveys, will haunt me for a very long time. This is a marvellous poem with its unique slant on the theme of dementia. There is compassion, tenderness and honesty in every line. There are so many memorable lines. I won’t spoil the reader’s pleasure by quoting more. This is a rare poem. How cleverly the poet sets the scene and touches on the theme of leaving: ‘I will wash up for you before I leave/but, right now, the morning/can’t bear too much activity.’ After-the-party chaos is further detailed in the mashed-up remains of the birthday cake, the crisp packet that ‘blossoms’ out of a wine glass. Holding a cup of tea seems to be the only warmth between the couple, the only kind of physical contact. There is ‘space’ between them. We are given echoes of days when they talked, shared domestic issues to do with the flat such as how to protect woollen clothes from moths. Here, with the reference to moths, we have the wonderful turn in the poem which I admire tremendously and which is the main reason I selected ‘Between Us’ for the winners’ list. The image of the brown moth is so immediate and striking – a quick ‘clap’, speedy as a sudden decision, and it’s ‘dead in my palm’ says the narrator. The moth’s body goes down the sink, is washed away. What remains, for the narrator, is the image of flight. This is a stunning stream of consciousness poem, both sensuous and sensual, that uses rapid associations, broken syntax and non-punctuation to achieve its effect. One can tease some sort of a narrative out of it – there is love, lust, sickness, heartache and death – but this is not writing that relies on a linear or logical approach. A hypnotic, beautiful poem. One to read over and over again. There is horror in this poem but it is skilfully underplayed so enhancing the impact. I like the subtle way this poem is developed beginning with the alteration to colour caused by ‘June rain’, elaborating this idea with the example of ‘scribbles of green’, then the introduction of an imaginary naughty child – ‘as if’ a child had felt-penned some illustrations of the liberation of Bergen-Belsen. Then, in the second stanza, we have the wonderful turn which considers the almost impossibility of finding any leaves in such a setting but still manages to find some possibilities among weeds, barbed-wire and broken branches and twigs. The poem ends with the comparison of an owl crashed into a windscreen – something natural becoming a victim of the man-made. This poem strikes me as close to perfection. Like several entries in this competition it is one I wish I had written myself. I love the opening line ‘Today I follow Baudelaire’s advice and go out drunk on poetry’. The narrator is determined to hold on to this mood all day, even if (or maybe because) it distances him from tragedy and distress. He has a strategy for dealing with such things: ‘I spray denial from my can of verse’. Later, he finds ‘apt similes’ for ‘bitter acid rain’. Details of incidents are noted with precision and detachment. There is the implication that a child has been killed but we all we see is a small hand and a sleeve ‘patterned with pussycats, or possibly rabbits.’ This is a poem that will stay with me. An apparently simple poem about someone wishing he/she could identify individual trees and birds. Musing on this dilemma leads to an analogy with a family tree – which, in the end, seems to be of little help. There are many superb images. Figs are ‘a poet’s orchard/ripe for the thief’, details in the family tree are ‘written in blood where anxious/kings dictate by might.’ The poet’s father is afraid that learning to name things might ‘misplace’ the narrator’s ‘awe of him’. But the main reason I selected this poem is because of its form, the pattern of lines, the use of white space, the perfect delineation. The rhino of the title, taken from its natural habitat to be electronically fitted with a tracking device, is being returned, doped up and is ‘out cold’, upside down in its harness below a helicopter. A short poem but brilliant in its use of language. The creature is lowered gently, ‘infinitely gently’ into the wilderness that is supposed to be ‘its promised land’. Later it will wake ‘unknowingly unwilded.’ I love the sound patterning of ‘rhinoceros’ with ‘preposterousness’ – clever and full of feeling. This is an original and very fine piece of writing. There is deception in this title. Certainly, we are given a detailed account of the Guy on the bonfire, how he is designed, what he is wearing, the stages of the fire as it flames through a ‘cold tickle, a blush-red whoosh, the burning in a ‘lit mess’. Yet all this takes place in ‘One slow moment’ and it is in this moment of pause that the poem turns, shifts into the space of ‘a haunted silence’, a moment that feels uplifting and spiritual. And then there is the final ambiguous line with its hint of a back story: a love story ended, perhaps a broken home. A clever and atmospheric poem. It continues to haunt me. 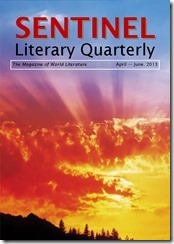 Thank you for your continued support of Sentinel Literary Quarterly. Our competitions are independent, funded by your entry fees, and our own little chip ins. Not supported by any public funds whatsoever, we have counted on the support of our staunch friends who have stood by us through the rough and the smooth times. The Sentinel Literary Quarterly Poetry Competition will be ten years old in July 2019, all I can say, on behalf of the entire Sentinel crew is thank you. Without you, we would never haver made it this far. 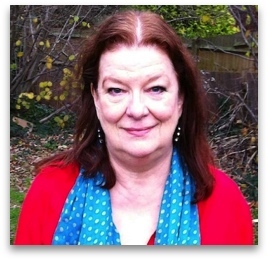 Mandy Pannett will return to judge our competition again in February 2020. Meanwhile, feel free to enter the May 2019 competition to be judged by Terry Jones.